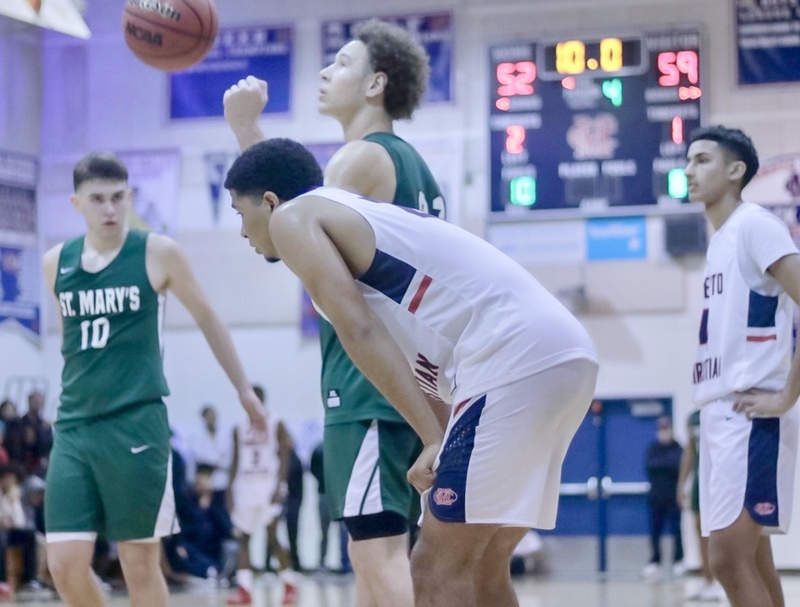 St. Mary's snapped Modesto Christian's state-record and national-best league winning streak at 194 games with a 60-54 victory over Friday, Feb. 1, 2019. It's over! How St. Mary's became the first league team to beat MC in 23 years. 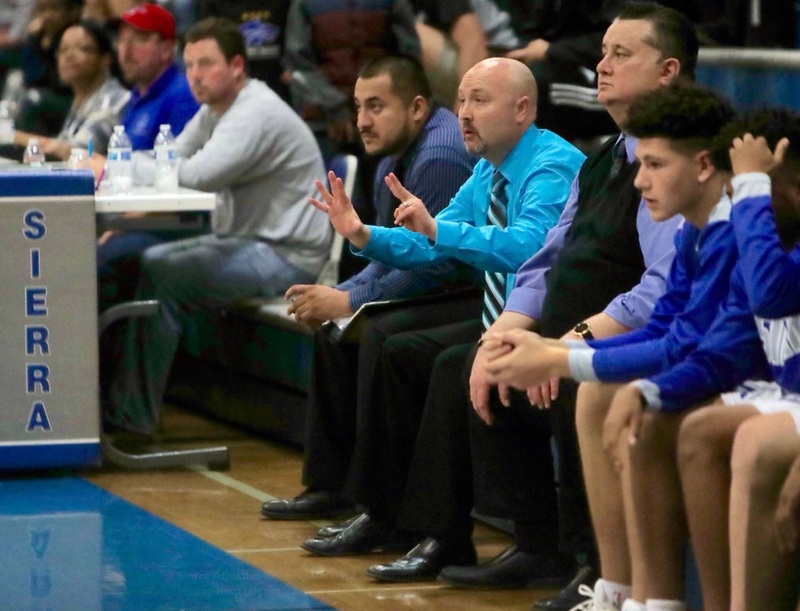 For more than 20 years, the Modesto Christian boys basketball team has been beating league opponents in mostly spectacular fashion. The Crusaders’ path of destruction has spanned three coaches — Gary Porter, Richard Midgley, and now Brice Fantazia — four different league affiliations, and 194 consecutive games. So it was only fitting the nation’s longest league winning streak ended in spectacular fashion, too. 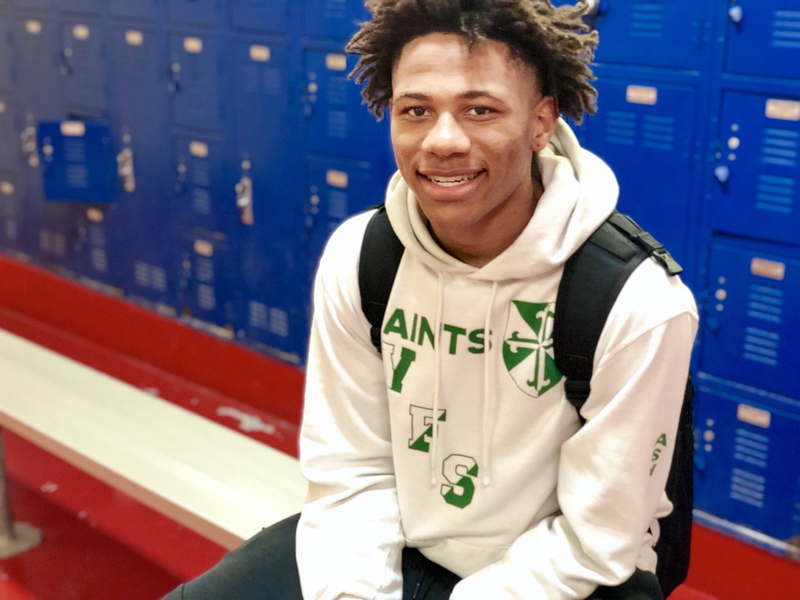 Jamar Marshall scored 14 of his game-high 24 points in the third quarter as St. Mary’s stunned top-ranked Modesto Christian on its senior night, 60-54. St. Mary's junior Jamar Marshall led the Rams' third-quarter charge with 14 of his game-high 24 points. The Rams (19-6, 9-1) and Crusaders (20-7, 10-1) are now tied in the loss column atop the Tri-City Athletic League standings with one week left in the regular season. 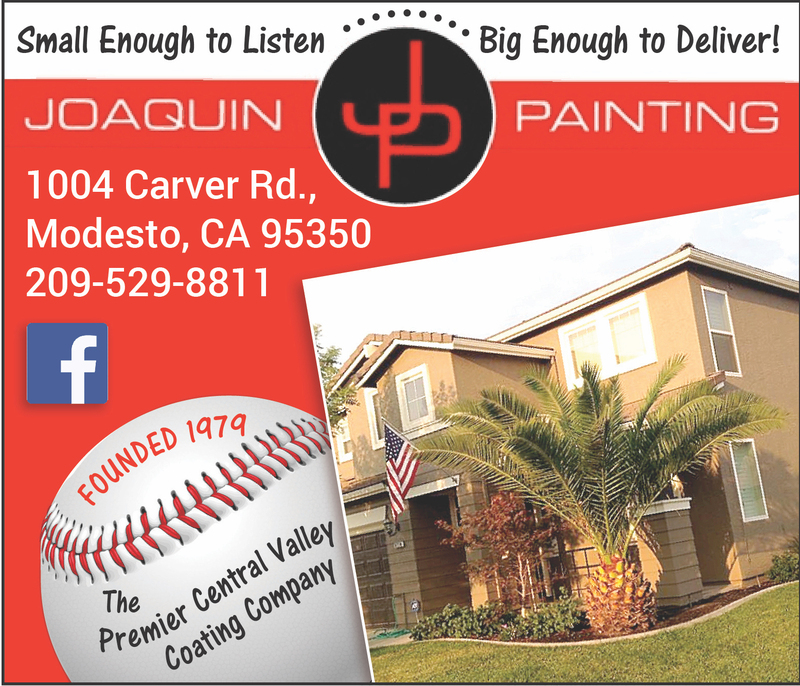 Not since the streak began in 1996 has Modesto Christian had company atop the leaderboard this late in the season. “It’s been 22 straight years of getting everyone’s best. Tonight, we didn’t raise the bar like we needed to,” Fantazia said. “We came out and we made a lot of self-inflicted errors in a big game. It went back to earlier in the year, how we played. We’ve been playing great (but) we went back to those mistakes we were making. 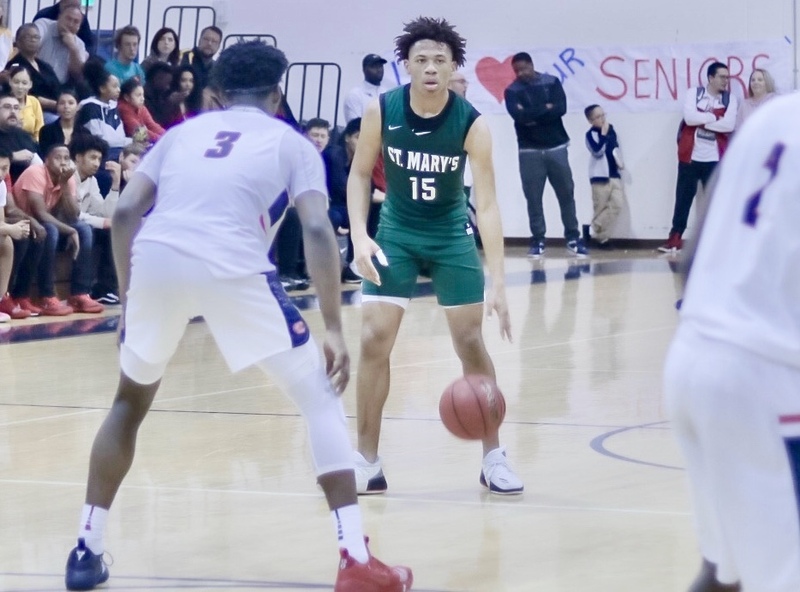 St. Mary’s snapped one of the most impressive high school streaks in the nation with a fearless second-half performance. 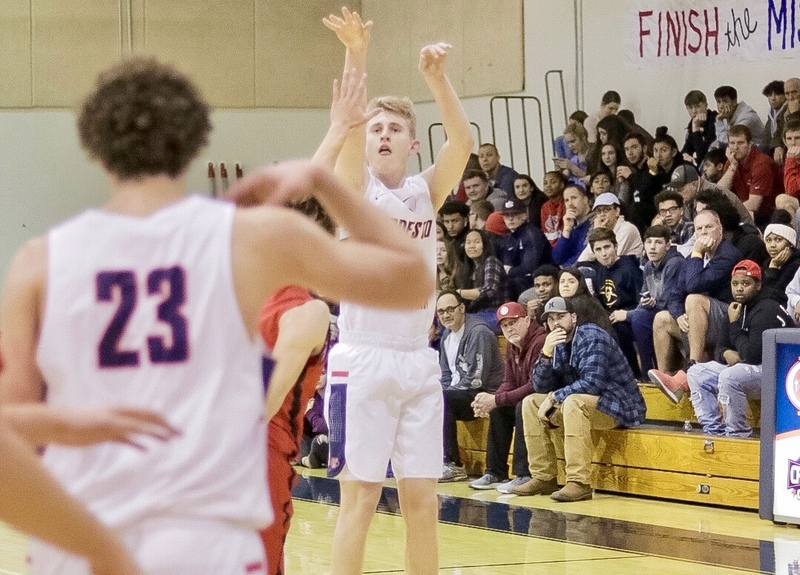 The Rams outscored the Crusaders 37-25 in the second half and then willed themselves through the final four minutes of the game, bracing for a Modesto Christian charge that never materialized. Guard Carson Simi banged his face on the hardwood along the baseline, busting open his lip. He spat blood and winced often, yet refused to leave the game. Instead, he dabbed the blood with a towel during breaks in the action. Simi iced the win with five points in the final 90 seconds, including a runner to beat the shot clock. The Rams trailed by six at the intermission, but flipped the scoreboard thanks to Marshall, a junior guard who played with a chip on his shoulder. Frustrated by his team’s inability to close out an 89-80 loss to the Crusaders on Jan. 14, Marshall left nothing to chance before a packed house on Friday evening. Marshall gave the Rams the lead for good with a floater with 4:24 left in the third quarter and then sent a jolt through the visiting stands with a steal and one-handed flush to make it 35-32. At one point, Marshall scored 10 of the Rams’ 12 points. Modesto Christian never hit top speed — a testament to the Rams’ defensive adjustment in the second meeting. 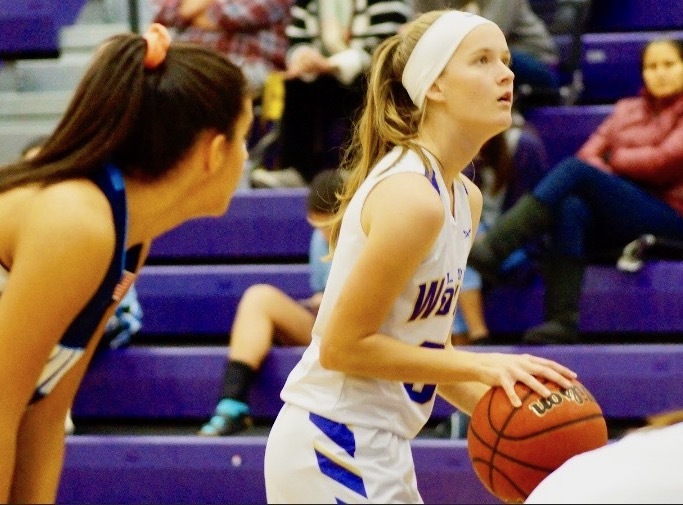 The Crusaders were held 25 points below their season average and suffered a rash of turnovers and missed free throws. Aaron Murphy led Modesto Christian with 12 points, but suffered a leg injury late and finished the game with a noticeable limp. Dathan Satchell, the hero in their first meeting, was limited to just 11 points, and Michael Pearson netted 10. 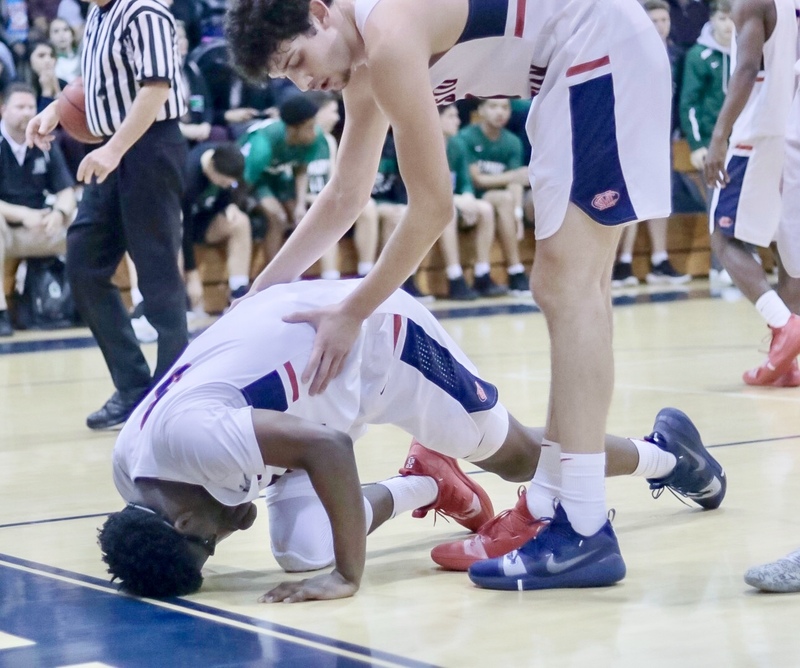 Modesto Christian's Aaron Murphy is helped to his feet by teammate Tsotne Tsardsidse in the fourth quarter of Friday's loss to St. Mary's. 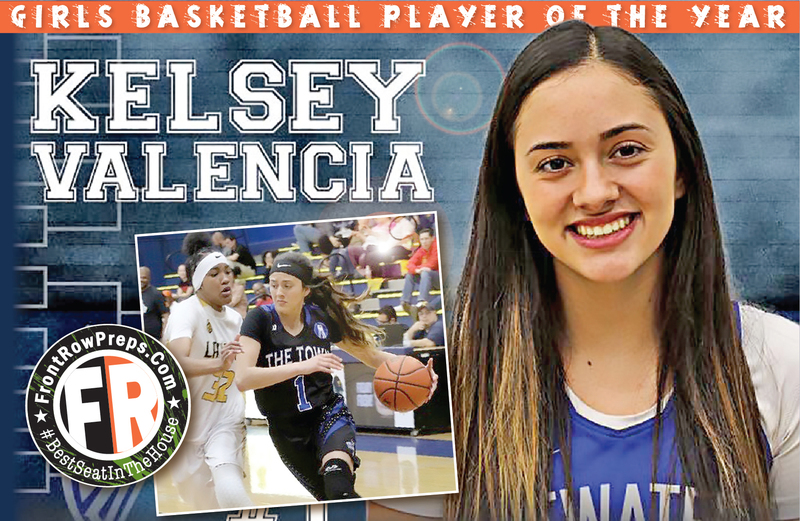 Modesto Christian closes out the TCAL with an away game at Tracy on Feb. 6. St. Mary’s hosts West (Feb. 6) and travels to Lincoln (Feb. 8). Fantazia emphasized that his team isn’t concerned so much about the streak or league championships. The Crusaders concern themselves only with section banners and competing at the highest levels in the state playoff, Fantazia says. Modesto Christian has won two of the last three Division I titles and 19 blue banners overall, the most in section history. St. Mary's junior guard Jamar Marshall surveys the defense, while Modesto Christian's Aaron Murphy gives chase during a Tri-City Athletic League game on Friday, Feb. 1, 2019.